Another week has flown by and this post is coming to you from back in my cosy corner of Hertfordshire. After a wonderful week away from civilisation and in the Cambrian mountains, I have returned home. The beauty of my PhD programme, I am fast learning, is that it allows me to indulge my nomadic tendencies. A rucksack, a laptop, and I’m good to go. Here’s hoping your week is equally filled with adventures! After some intense speculation, the Man Booker committee yesterday announced that this year’s award would go to its youngest ever winner – 28 year-old Eleanor Catton. Her 832 page epic, The Luminaries, is a murder mystery set in 19th century New Zealand and at the time of the gold rush. The book is also notable for the complexity of its organisation, with a system deriving from Catton’s interest in astrology. So it might be a good idea to brush up on your knowledge of the zodiac before giving this one a go! Last week, I paid homage to Neil Gaiman in the form of a Book Fetish feature. 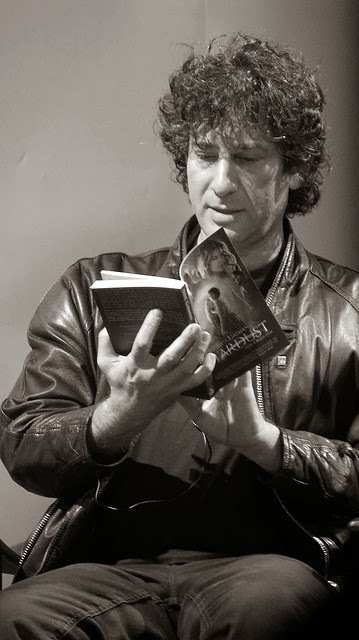 This article – a lecture given by Gaiman on behalf of the Reading Agency – only proves how completely he deserves recognition for his devotion to the world of literature. In this lecture, Gaiman details the importance of teaching children the benefit of reading. He argues that the capacity to imagine and dream is integral to impassioned and engaged citizenship. This lecture is, quite simply, one of the most eloquent and rational explorations of the topic that I have had the joy of reading. 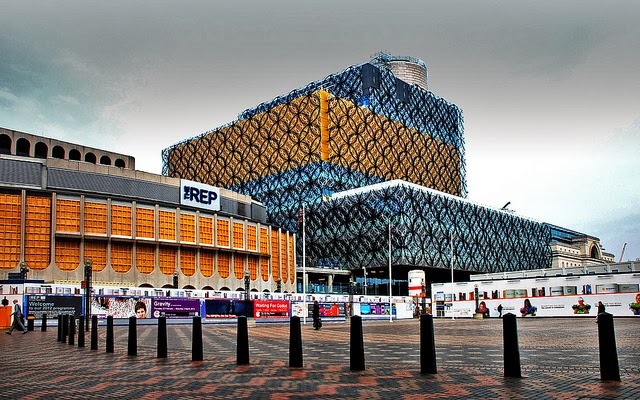 After reading Neil Gaiman’s utterly convincing consideration of the importance of libraries as a means of inspiring new generations of bibliophiles, Book Riot’s article serves as a wonderful follow-up. I won’t lie, I really want a donkey library. Or perhaps I have simply discovered a new career option for myself. This week, we return to the delightful world of book-themed jewellery. Weird, wonderful, and for the bold bibliophiles. Not only is this a fantastic celebration of Harry Potter, the letter and envelope can be customised with your name. For those of us still waiting to receive our Hogwarts letters (an administrative oversight, I’m sure), this might provide an effective consolation. Was there really any chance that I would get through this post without some allusion to Pride and Prejudice? Of course not. This quote is one of my favourites from the book, taken from Darcy’s first (and ill-fated) proposal. And the bracelet is pretty cute too! Just about the sweetest thing I’ve ever seen. I need one of those HP necklaces…right now. Actually, yesterday. 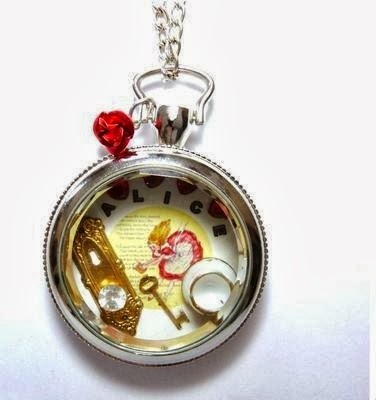 And that is the cutest Alice in Wonderland necklace ever!